Shop vegan and cruelty-free scrubs and exfoliants. Keep your skin healthy, smooth and clean with the peace of mind of knowing that all of these products are 100% free of animal-derived materials, ingredients, by-products and testing. 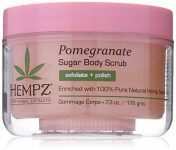 What are vegan and cruelty-free scrubs & exfoliants? The term “vegan” with regard to scrubs and exfoliants, refers to products that do not contain ingredients that are derived or sourced from animals or insects. The term “cruelty-free” means a product and its ingredients aren’t tested on animals. On this site, we feature scrubs and exfoliants that are both vegan AND cruelty-free; they contain zero animal or insect ingredients, and are not tested on animals. What animal ingredients are typically found in scrubs & exfoliants? Please Note: Some ingredients, such as ‘Glycerin’ and ‘Stearic Acid’, can also be derived from plants, but it's not always stated on labels. To be sure it’s plant-based ingredients that are in your products, your best bet is to buy from a company that you know is vegan (such as those listed below). 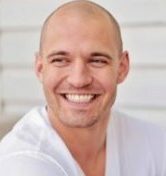 What companies make vegan/cruelty-free scrubs & exfoliants? How does buying vegan scrubs & exfoliants make a difference for the animals? It comes as a surprise to many that buying vegan products is actually one of the most effective forms of animal welfare activism. When you buy a vegan-friendly product, you’re telling stores, manufacturers, and everyone in the supply chain that there’s a market for these items; “make them and they will sell”, in other words. The more consumers who ‘vote with their dollars’ in this way, the bigger the vegan/cruelty-free market demand will be. And of course, if there’s a market to be had, companies will respond by providing supply for it. Ultimately, this growing demand tells companies that demand is shifting, which means there will be less and less products using animal-derived ingredients, which means less animals killed for them! Are vegan & cruelty-free scrubs & exfoliants expensive? Just like non-vegan/non-cruelty-free products, there are differences in the quality of the ingredients used, differences in the manufacturing processes, and different brand names behind various scrubs and exfoliants; all of these factors can make prices differ quite a bit from one product to the next. Should I get rid of any non-vegan scrubs & exfoliants that I already own? Deciding on how to deal with your old personal non-vegan, non-cruelty-free ‘stock’ is certainly one of the more challenging aspects of transitioning to a vegan and cruelty-free lifestyle, and there really is no right or wrong answer for what you should do with your old products. Your best options however, might be to give away any unused or gently used products to friends and family, or use products (if you’re comfortable doing so) until they have run out or otherwise outlived their usefulness. Simply throwing them away is generally considered wasteful, and we would recommend turning to that only as a last resort. Ultimately, it comes down to what you decide you’re no longer comfortable using, what old products you can afford to replace immediately with cruelty-free products, and what you feel can be given away in a hygienic manner. We keep a growing list of companies that we find, or that are suggested to us, whose facial and body scrubs and exfoliants seem to be completely free of animal-derived and sourced ingredients and testing. We then contact these companies to find out if their scrubs and exfoliants are cruelty-free and suitable for vegans. If they make some that are, and they can be purchased on Amazon, then we list those products here in our store, for your convenience. 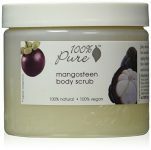 We try our best to find scrubs and exfoliants that will ship to Amazon customers worldwide. Unfortunately, some products don't ship outside of the country in which they’re being warehoused due to excessive taxation on certain products, hefty importing fees, or any other number of reasons beyond our control. If you make vegan and cruelty-free scrubs and exfoliants, we’d love to feature you and your products on the “Brands We Love” section of our site! Contact us at - info(at)getitvegan(dot)com - to get started!